Unless you have $70,000 burning a hole in your pocket, a new luxury car probably isn’t a consideration. 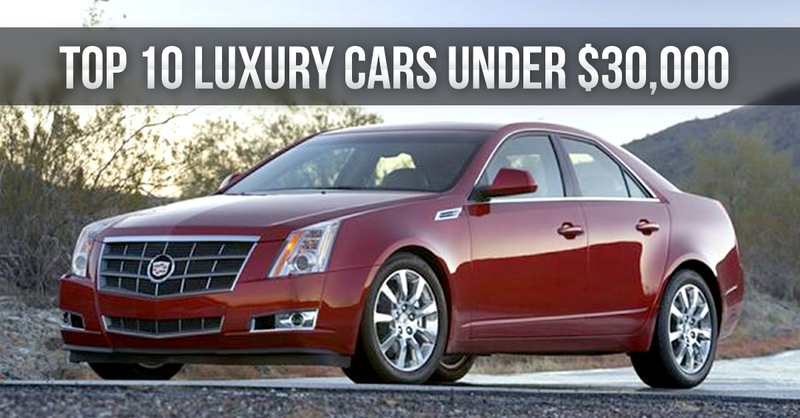 Thankfully, there is a great selection of luxury cars under $30,000 on the market today. If you want to enjoy the upscale performance, tech and comfort of a luxury car on a budget, look no further. Carsforsale.com narrowed down the top 10 luxury cars under $30,000. 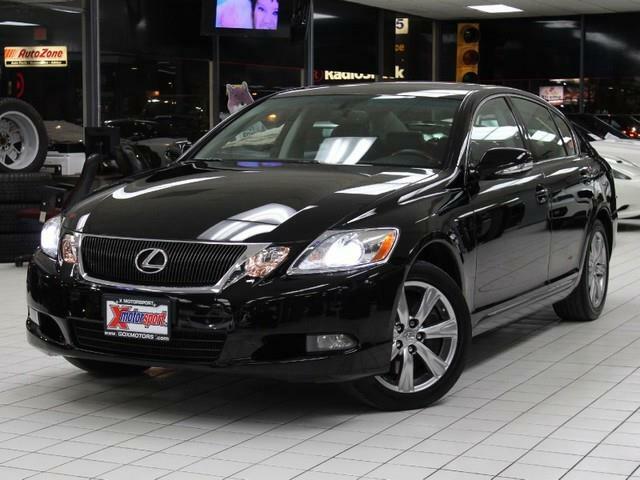 If you want powerful acceleration with excellent features, check out the 2011 Lexus GS 350. The tech-focused GS 350 comes standard with keyless entry, dual-zone climate control, Bluetooth, HomeLink garage-door opener and keyless entry. As if that weren’t enough, nearly every car tech feature available in 2011 vehicles is available in upgraded trims of the GS 350. The engine is also impressive with a 3.5L V-6 that produces 306 hp. With an EPA-estimated 26 mpg highway, the GS 350 falls somewhat short in fuel economy for the segment. Overall, the body’s styling is somewhat forgettable, but the LED eyeliner headlamps and low-set fog lamps are an attractive touch. Inside, expect a clean instrument panel with neat control arrangement. Don’t expect the space you’ll find in other luxury vehicles. Head room is minimal, even in the front. Driver’s over six feet tall may want to consider a different option. Trunk space is also surprisingly limited. If you don’t mind trading tech features for space, the 2011 Lexus GS is a great, inexpensive luxury car. The 2011 Infiniti G37 is powered by a 3.7L V6 that produces 328 hp. Those are impressive numbers, considering the price tag. The G37 boasts sharp responsiveness and handling at a competitive price point. The styling of the G37 is both muscular and classy. Most are equipped with a seven speed automatic transmission. Safety ratings are fairly low for the luxury class, especially in the seat-based rear impact test. 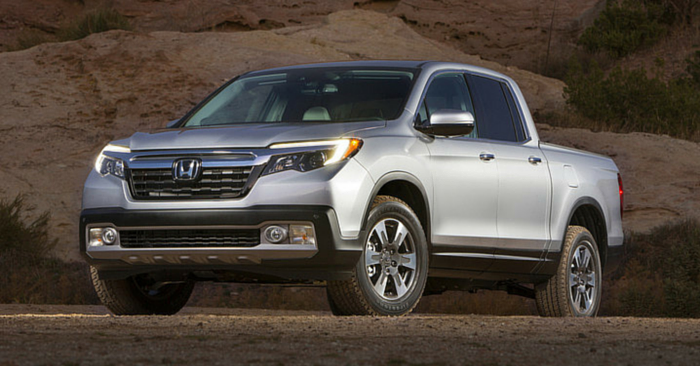 Inside, the base model meets standard luxury expectations with comfortable seats, leather-lined interior, aluminum accents, automatic climate control and an eight-way power driver’s seat. Those looking to carry passengers should note that the rear seats are far less spacious. Upgraded models have a navigation system, heated seats, rear-view monitor, Bluetooth and USB connectivity. 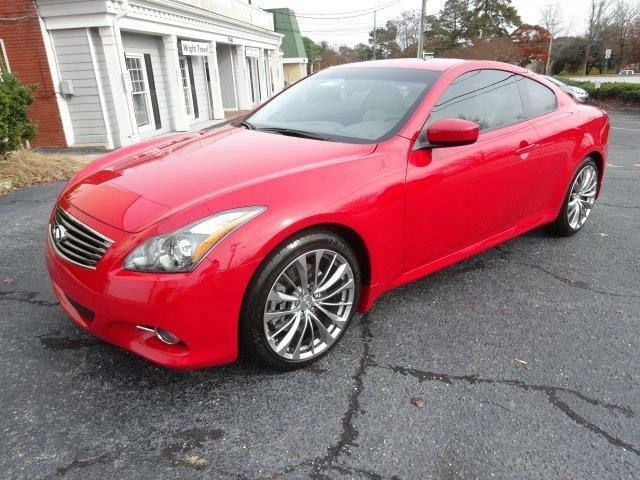 The 2011 Infiniti G37 will meet the expectations of most drivers. Value, performance and luxury are a great combination. The 2012 Audi A6 holds very true to the traditional standards of “luxury” cars. Although the average price we found is above the $30,000 mark, there are still many available for less than that. The A6 has spacious seating, quiet ride and more features than you know what to do with. While most vehicles on this list have V6 engines, this Audi comes standard with a turbocharged 4 cylinder; dramatically improving fuel economy (22 mpg city/33 mpg highway). Although not as powerful as a V6 engine, it is still will impress most drivers with its power. Standard equipment includes ambient lighting, power front seats, sunroof, three-zone automatic climate control, LED tail lamps, pushbutton start and a 6.5 inch LCD screen for Audi’s multi-media interface. If you’re budget allows, other trim packages have Google Earth navigation, in-car wireless data through T-Mobile, front and rear parking sensors, real-time traffic data and more. 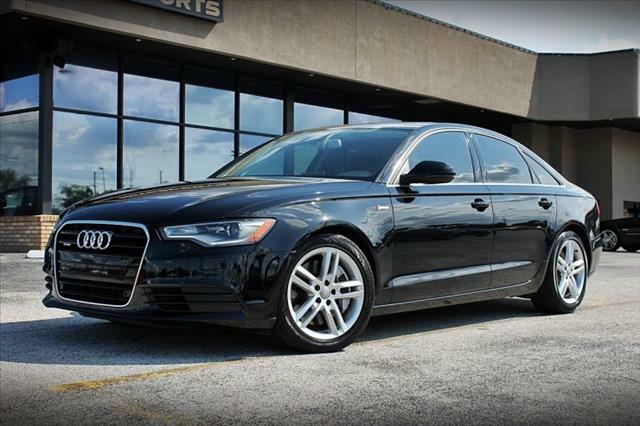 If you want great gas-mileage in a satisfyingly strong luxury car, consider the 2012 Audi A6. Did you know you could get into a Jaguar at a reasonable price? It’s true! The oldest car on our list, the 2009 Jaguar XF, has a roaring V8. The XF can take you from 0 to 60 mph in 6.2 seconds. With 26 mpg highway, this Jaguar achieves better fuel economy than most V8 engines. Turn the car from “drive” to “sport,” and you’re in for a breathtaking ride. The XF performs well, but it has some interior flaws. 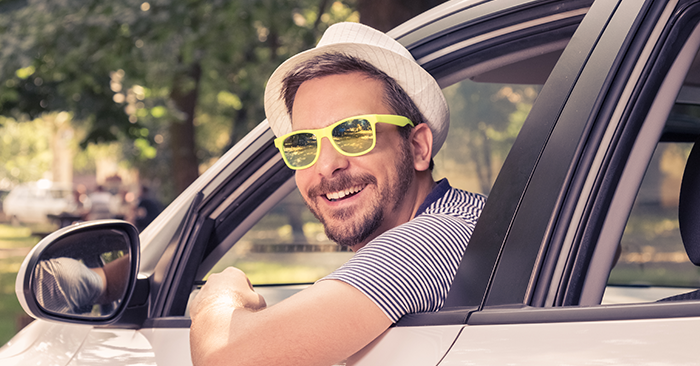 Look elsewhere if you carry passengers often as the back seats are quite uncomfortable. Tech-savvy drivers will be pleased with the features available. Upon starting the car, a circular shift dial rises up from the lower right dash, the circular start button pulses red and covered HVAC vents rotate to open. It’s a high-tech, secret agent kind of experience. 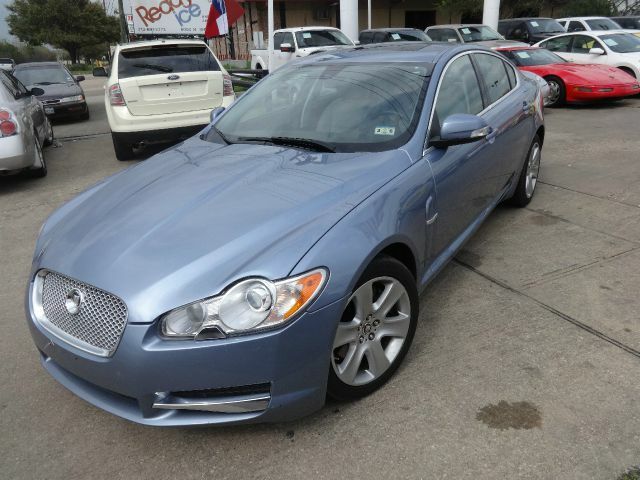 For a 2009 car, the XF provides an entirely modern experience. If you want power, tech and the status of owning a Jaguar, this is a great option. 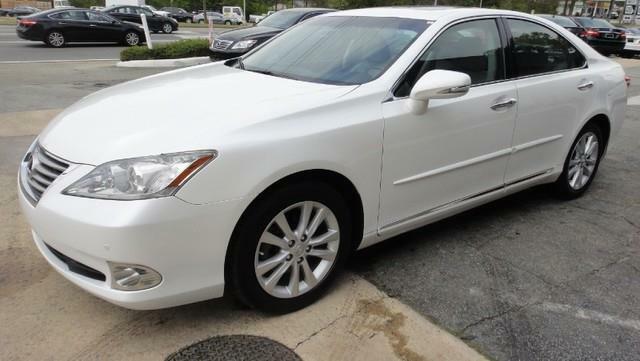 The 2011 Lexus ES 350 is a reliable, spacious and safe luxury sedan. The 3.5L, 272 hp V6 certainly isn’t slow, but it doesn’t handle the track as well as competitors. It accelerates quickly, but the steering doesn’t encourage fast, tight turns. If you want a quiet, pleasant vehicle for city and highway driving, this is a great choice. Despite non-competitive performance, the ES 350 boasts excellent standard features such as 10-way power adjustable front seats, climate control, keyless entry, push-button start, self-dimming mirror, moon roof, rain-sensing wipers, trip computer and six-CD changer (for the few that still own that many CDs). The front seats are comfortable, the back seats are adequate and the interior trim and styling looks great. It’s luxurious. That’s what you’re looking for right? Comfort and style make the 2011 Lexus ES worth a look. The 2010 Mercedes-Benz E-Class was ahead of its time with looks and style, but only average in performance. The standard V-6 engine will drive 0 to 60 mph in around 6.5 seconds. This E-Class comes standard with RWD. All trim options have a seven speed automatic transmission that isn’t very responsive compared to other available automatics. Despite this, the car gives the driver incredible steering accuracy, the braking is incredibly responsive and this car received top safety ratings. For a 2010 vehicle, Mercedes nailed a modern luxury appearance with edgy, twin headlamps and muscular rear fenders. Inside, head room and leg room are ample. The E-Class sedan comes standard with power sun roof, dual climate control, 14-way power adjustable driver’s seat, auxiliary jack and six disk CD audio system. 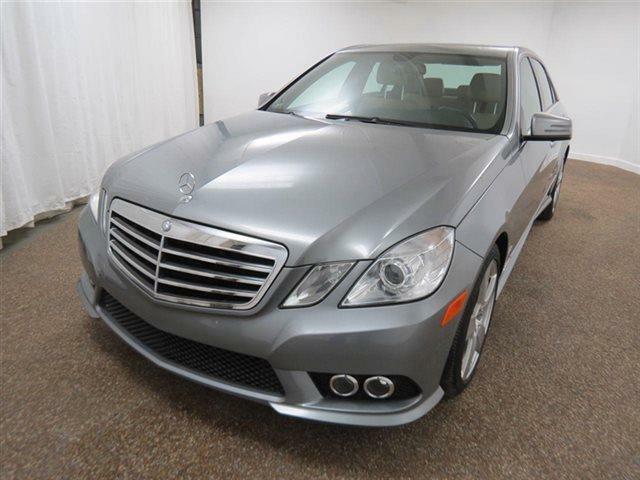 If you’ve always wanted to drive a Mercedes, this 2010 Mercedes-Benz E-Class is a great, inexpensive way to do so. Are you willing to give up the luxurious brand name for luxurious quality? 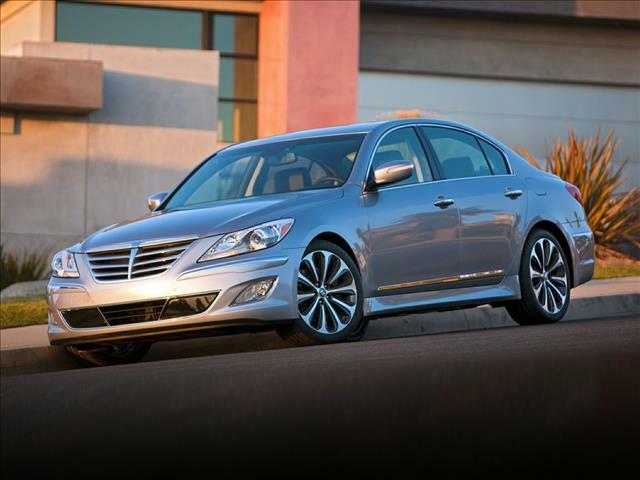 Check out the 2013 Hyundai Genesis. If you “wear” your car like a Juicy Couture bag or Rolex watch, this may not be the car for you. No, it’s not a Bentley, but this RWD is a competitive luxury option with a 3.8L V6 producing 333 hp. Particularly in acceleration, this engine is great bang for your buck. The cabin is very quiet, but some complain that the Genesis has poor suspension compared to the top luxury sedans. The vehicle’s rear exhaust pipes look great, but as a whole the styling is lackluster. The cabin is more impressive, as it has soft, padded material on the dash and doors, leather and many compartments. 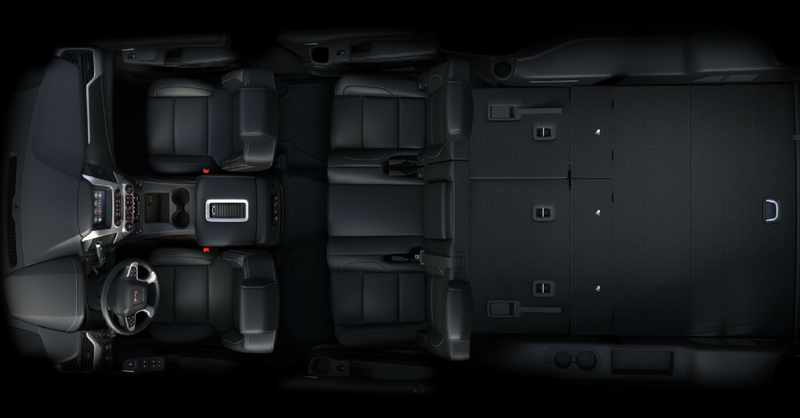 The front and back seats are roomy and comfortable, complemented by a spacious trunk. The standard Genesis has decent features such as heated mirrors and front seats, a seven-speaker audio system, USB port, Bluetooth and auxiliary jack. Upgraded trims have the impressive 8-inch screen navigation and voice recognition. The 2013 Hyundai Genesis is a great choice if you are willing to give up the name brand to save a few bucks. Acura makes a bold, futuristic frontal styling choice with the 2011 Acura TL that reminds us of a helmet from the video game Mass Effect. The TL is a well-rounded luxury sedan. Most will be satisfied with the power of the standard 3.5L V-6. The engine responds well to typical driving conditions but is not as quick to respond during aggressive driving. 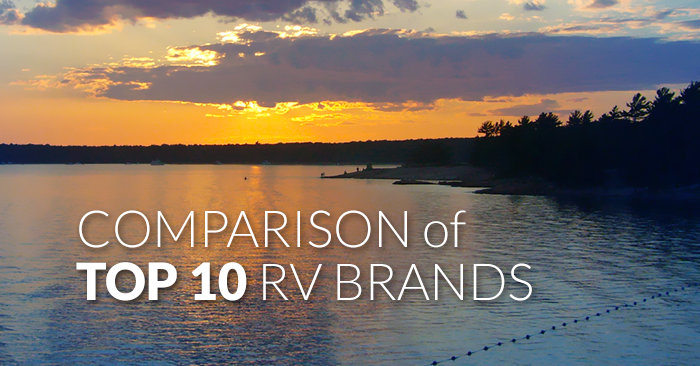 However, if you want safety and reliability, the TL has received top rankings in both categories. The interior design is modern, smooth and less bold than the exterior. It’s an upscale mix of both sport and class. The TL pulls through with great base features like an eight-speaker audio system, USB iPod/MP3 interface and a high-resolution display for the infotainment system. The amount of buttons can be overwhelming at first, but after a week or two you’ll feel like master and commander. For a bold-looking, well-rounded luxury sedan, the 2011 Acura TL is a great choice. As some may have expected, the 2011 BMW 3 Series is near the top of the list. BMW claims to build the Ultimate Driving Machine, and the 3 Series follows through. The driving experience of this BMW is one of the best, giving you the feeling of complete control over this magnificent machine. A beautiful sounding 230-horsepower inline-six engine is the standard 3 Series engine, with both manual and automatic transmissions available. Buyer beware, while more fun, the manual transmission is difficult to drive for those less experienced using a clutch. Like many BMW’s, driving the 3 Series is a fun, addictive experience. The exterior of the BMW is beautifully athletic and luxurious without anything too ostentatious. Inside, the 3 Series may feel like an older vehicle compared to 2015 models, but it is very functional. The only annoying feature is the miniature cup holder that is too small for most beverages. The front seats will fit the majority of drivers and passengers, but the rear seats will feel cramped to taller passengers. This beast comes standard with push-button ignition, heated side mirrors, automatic climate control, 10-speaker stereo system and sunroof. Upgraded 3 Series cars may sport the BMW iDrive infotainment system. Don’t be surprised if you don’t find a spare tire in the trunk, as these cars are equipped with run-flat tires. 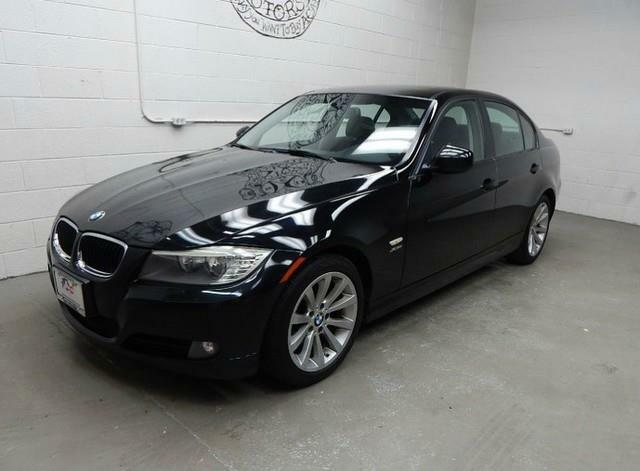 The 2011 BMW 3 Series is a great choice if you want a lot of sport with a touch of luxury. For under $30,000, General Motors snags our first position with the 2012 Cadillac CTS. Of the cars on our list, the CTS takes the crown by presenting the best luxury $30,000 can buy, both inside and out. This is the second generation of the CTS that began in 2008. The standard engine setup is the RWD six-speed automatic transmission with a 3.6L V6. Acceleration from the base engine is very strong. The car is agile and athletic, gripping tight corners well. Normally the words “Cadillac” and “drifting” are not in the same sentence, but turn the car to “competitive” mode and you are ready for the track. 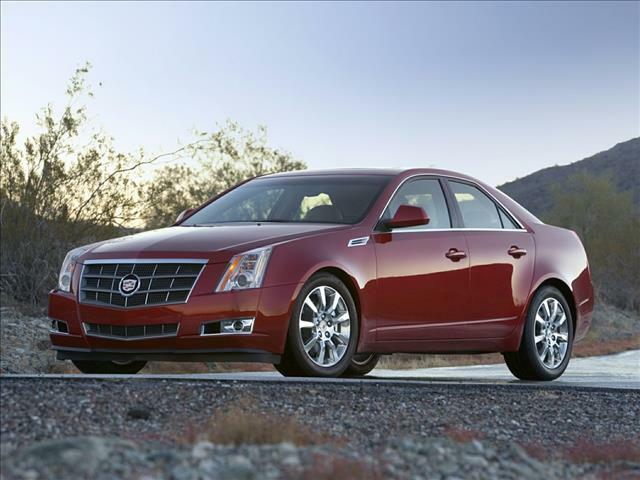 The CTS is around average in its class for fuel economy, receiving 27 highway mpg with the 3.6L V6. The CTS is one of the most reliable, and safest vehicles in its class. This Cadillac was an IIHS top safety pick with an impressive suite of safety features. Inside, Cadillac defines luxury with great attention to detail, soft padding, wood trim and chrome accents. The front seats are reasonable for a luxury sedan, though some complain that they aren’t the most comfortable in the class. Despite this, the rear seats are surprisingly spacious and comfortable. The cabin noise while driving is very low and the ride is smooth. If you want an affordable car that defines luxury in performance, comfort and style, look no further than the 2012 Cadillac CTS. I’ve heard it said, “Good things come to those who wait.” This certainly holds true for luxury vehicles. 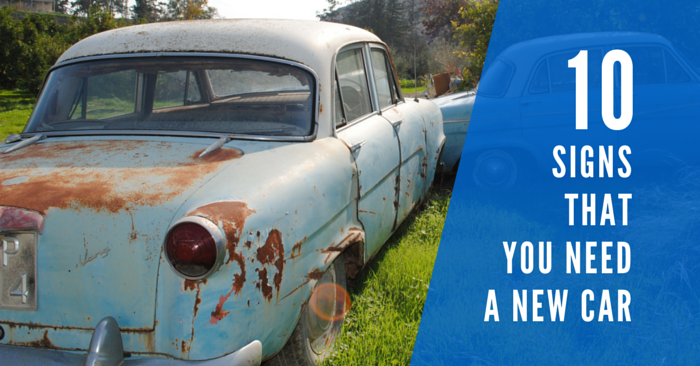 Thankfully, you don’t have to be a millionaire to enjoy some of the best cars the automotive industry has to offer. Do you agree with our list? What’s your favorite luxury car under $30,000? We love automotive discussion, so keep the conversation going in the comments below.